A 10-day manhunt for the survivalist accused of ambushing a Pennsylvania State Police barracks has narrowed to the rural area where he grew up and his parents still live, but the suspect has managed to elude capture despite the efforts of hundreds of law enforcement officials. 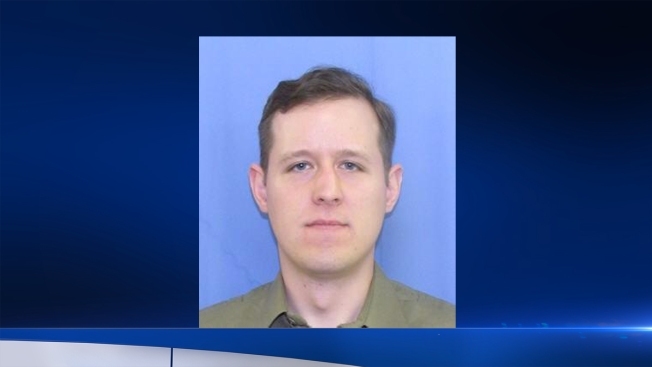 State police have been closing roads in the Canadensis area as they hunt for 31-year-old Eric Frein, who's charged with killing Cpl. Bryon Dickson on Sept. 12 and seriously wounding another trooper outside the Blooming Grove barracks. Residents have been unable to get back to their homes due to heavy police activity in the heavily wooded region of the Pocono Mountains, and tensions are running high. The American Red Cross opened a shelter for displaced residents from two townships late Monday. One resident, Bill Mew, said the lengthy manhunt has been nerve-wracking, especially with police choppers circling overhead. "You start thinking to yourself, is this guy standing outside your front door? So you start looking out the windows, and then you think to yourself, that's not such a good idea, in case he's looking back," he said. Authorities have called Frein a self-taught survivalist with a vendetta against law enforcement. State police have followed up on hundreds of tips and reported sightings. None have panned out. But police officials insist they are hot on his trail. "I do believe that we are close to him at this point," state police Lt. Col. George Bivens said Monday. Kathryn Schaller rode the school bus for years with Frein, who lived in her neighborhood and was a year ahead of her in the Pocono Mountain School District. Schaller, 29, described Frein as a quiet, smart kid who kept to himself - someone more likely to be a police officer than to be charged with killing one, she said. "I was baffled when I heard about this," Schaller said. "Then again, that was 15 years ago," she said. "Anything can make somebody snap, I guess." Though she recalled that Frein was among the students who got picked on - "there were some cruel kids on that bus" - Schaller also remembered Frein having a pretty girlfriend in high school. Frein's mother is a wonderful, friendly person, Schaller said. "It's not like he came from some messed-up family," she said.